In the last few years there seems to be a return to some free form and improvisation styles. The reasons are not clear, but the themes played in between the expressive freedom and the formal structures have always dominated art and music, sometimes with an insatiable and polyrhythmic approach. The sounds mutually move from person to person, until creating an ensemble. Two British avant-jazz stars, the saxophonist Seymour Wright and the drummer Steve Noble, in this recording from a session performed at London Cafe OTO are joined by the experimental electronics of John Chantler, an Australian based in Stockholm. Chantler is a musician of ambient drone and electroacoustics and he is an internationally recognized synth master too. Here he is perfectly at ease and when he has to face the different timbral and acoustic sources of the other players. Obviously his interventions are more minimal and ideally connect the elements within a field of improvisation, which takes his dynamic force from the inner necessity of expression. Chantler’s contributions are never prevalent, due to the specific choice of the performance’s formal structure. A huge freedom needs some remarkable amounts of responsibility and discipline to address the way of a coherent and magnificent expression. The Cafe OTO, founded by Hamish Dunbar and Keiko Yamamoto, is a place where traditionally different music sources can cross and in this case the mix is really successful. The performance was recorded on May 7th 2017 by Shaun Crook and is powerful on record too, produced by the specialist and sound artist Stephan Mathieu. We like to mention the track “Above 1” (12’22” long), the most cutting and heavy. 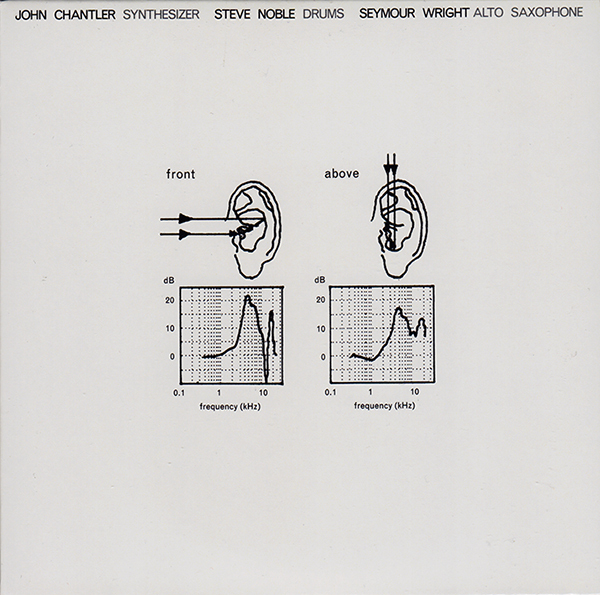 Here Wright’s saxophone jumps up to explore some peaks definitely not easy to manage, while the drum rhythms run wild behind Chantler’s synthesizer, that reminds us the sound is first of all a process, a relationship between the people and the events they perceive. This is the second release of the label 1703 Skivbolaget, created to promote and distribute the self-productions of the Australian musician. We are sure that after this, many other productions will follow.